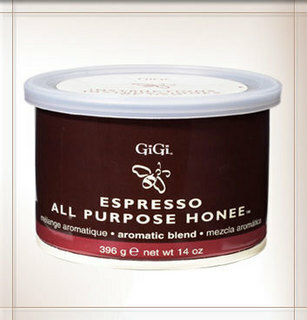 GiGi Espresso All Purpose Honee Wax is an all-natural honey wax ideal for all skin types. It is formulated with coffee extract that acts as a potent antioxidant to promote healthy skin. This aromatic wax has an invigorating aroma that awakens the senses and stimulates the mind and body.